Keep an eye out for Benjamin Webster this weekend who will be swimming, running and riding in his first 360km non-stop Ultra-Triathlon from Sydney to Yass with the aim of raising $50,000 for the Sydney Children’s Hospital Foundation. 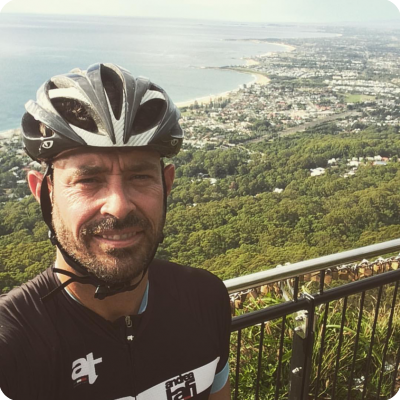 Starting at Bondi Beach, Benjamin will swim to Watsons Bay, then ride to Canberra and run to Yass, his home town. As a parent himself, Ben is really motivated by making a difference to children’s lives across New South Wales: “Having a young child, I know what other parents go through and I know how important it is to have access to quality healthcare, no matter where you are." Every year, more than 61,500 sick and injured children from around NSW are cared for by Sydney Children’s Hospital, Randwick. More than 70% of the children cared for come from outside our local area and 50% are from rural and regional NSW. The Sydney Children's Hospital Foundation supports the Hospital to purchase state-of-the-art medical equipment, support life-saving services and undertake medical and child health research. Benjamin’s bike, supplied to him by Trek Bike Australia, will be auctioned after the event with proceeds also going to the Sydney Children’s Hospital Foundation. To track Benjamin’s progress you can follow him on Instagram (@sharkstosheep) and to donate visit Benjamin’s event page.